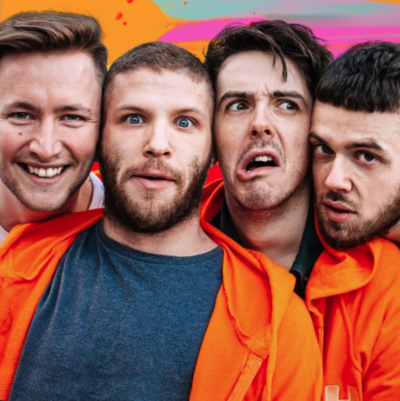 BIT Favourites the RH Experience are back in Briz with Scrapbook, their new long-form show, imbued with their own brand of anarchic silliness & bizarre storytelling. The RH Experience have been performing live shows & producing sketches for over a decade, performed at Glastonbury and Latitude Festivals, Edinburgh & Brighton Fringes, and have featured on BBC one, BBC Radio 4 & E4. You walk into a play but none of the actors have learned their lines, because there are none. This show hasn’t been written yet. A nightmare or a dream? Who’s to say? Up ahead there’s a sign. We take a turning through your imagination and arrive at your final destination: An improvised twist on The Twilight Zone. Some of Bristol’s best improvisers create a brand new episode of the classic science fiction show which inspired Black Mirror. Suitable for all levels of nerdiness and Twilight Zone knowledge! Looking for Dreamweaver Quartet? Sadly this show has been cancelled, but luckily for us the RH Experience have stepped in to replace them!